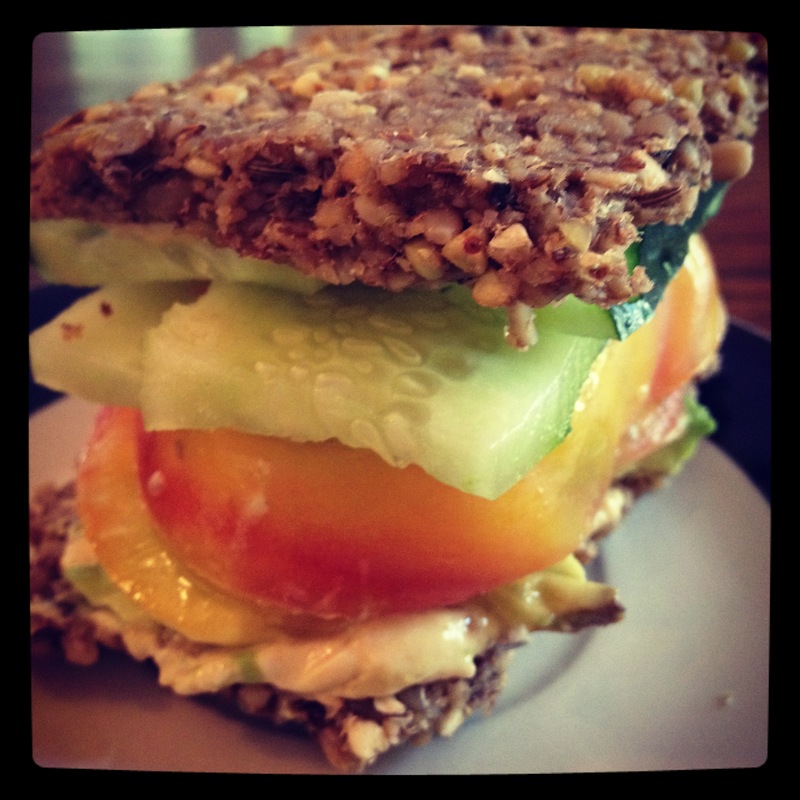 Pumpernickel Bread with hummus, avocado, tomato and cucumber. To feeling alive and nourished! In a food processor grind sunflower seeds. Add to a large bowl. Add flax and groats to bowl. Combine remaining ingredients in your vitamix with 1/4 C water. Add liquid to bowl. Mix all ingredients together by hand, spread onto dehydrator tray and dehydrate at 105 degrees for 8 hours. Flip and dehydrate additional 4 hours. To feeling alive!